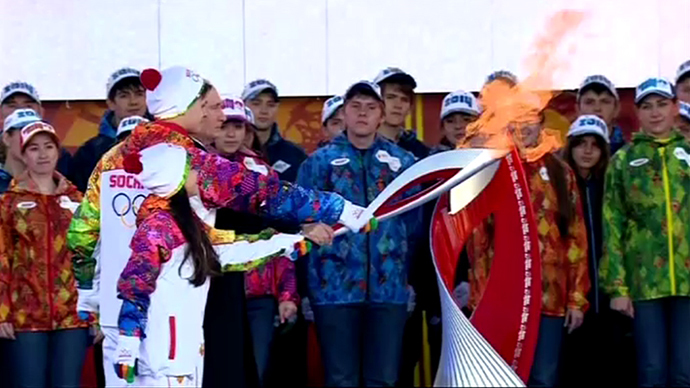 The 100-day countdown to the XXII Winter Olympics in Sochi has kicked off in Russia. 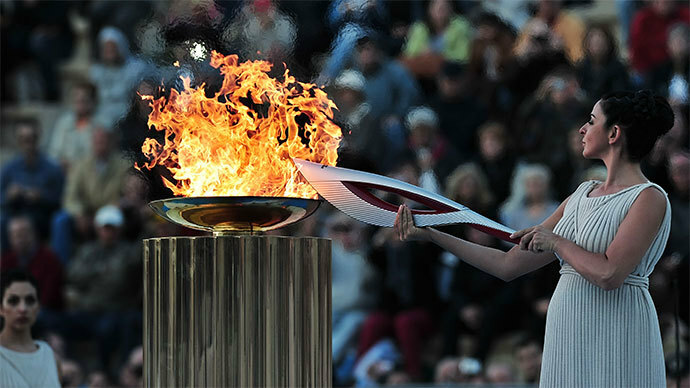 Preparations are in full swing after Russian President Vladimir Putin called for a “final push” in the run-up to the Games. The countdown to the Games in Sochi on Tuesday marked exactly 100 days until the Opening Ceremony on February 7. To celebrate this milestone day, five enormous Olympic rings have been installed at Sochi’s main railway station, while around Russia a myriad of different events were planned. 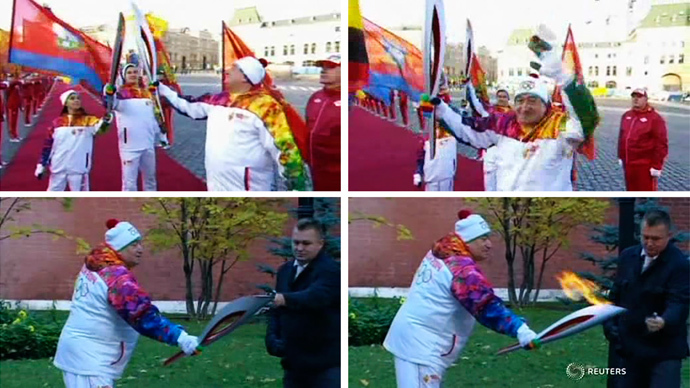 As the finishing touches are being made to Sochi’s venues, the Olympic flame continues its journey around Russia. 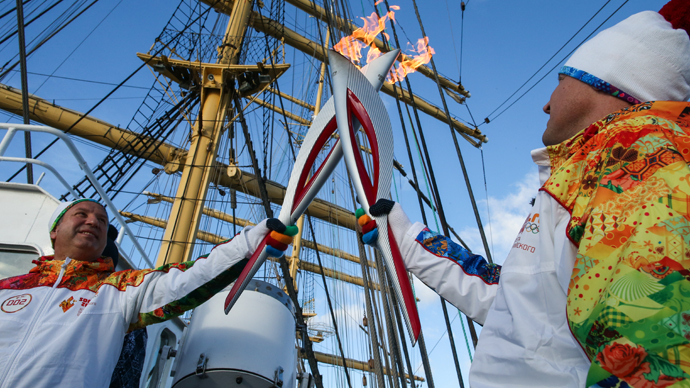 On Tuesday the torch arrived to Russia’s most eastern city, Kaliningrad, where it toured the center of the historical city before continuing on to Murmansk, the largest city north of the Arctic Circle. Reporting from Sochi, RT’s correspondent Paul Scott said there were no lavish celebrations planned to mark the occasion in Sochi, and there was still work to be done before the Games. Scott added that the Games looked set to become the most expensive in history, costing an estimated $50 billion. On Monday the President of the International Olympic Committee, Thomas Bach, visited Sochi to assess the venues in the run up to the Games. Bach said the he was “impressed” with the progress that had been made at Sochi and praised the organizers. "Sochi and the whole region completed a very big, successful development journey and we have been deeply impressed with this path," underlined Bach, who assumed the post of President of the International Olympic Committee this September. Russian President Vladimir Putin met with the Head of the Olympic Committee on Monday and called on organizers for a “final push,” assuring that the majority of sites were ready. Furthermore, Putin addressed the controversy surrounding Russia’s law banning homosexual propaganda among minors. Allaying fears that gay and lesbian athletes could be discriminated against at the Games, the Russian President stressed that this would not be the case. 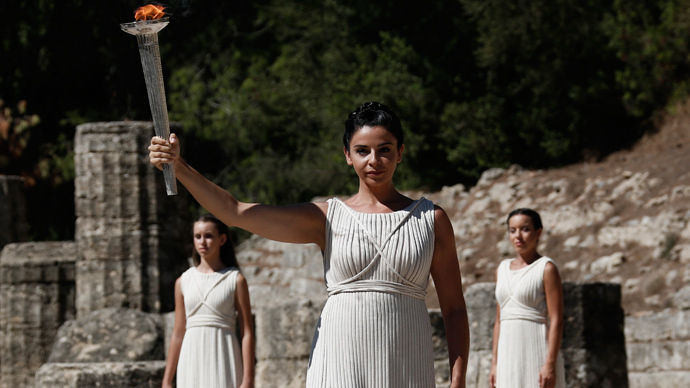 "We will do everything to make sure that athletes, fans and guests feel comfortable at the Olympic Games regardless of their ethnicity, race or sexual orientation. I would like to underline that," Mr. Putin told Mr. Bach. Following the passing of the bill against homosexual propaganda earlier this year, there have been calls from gay rights groups to boycott the Games. 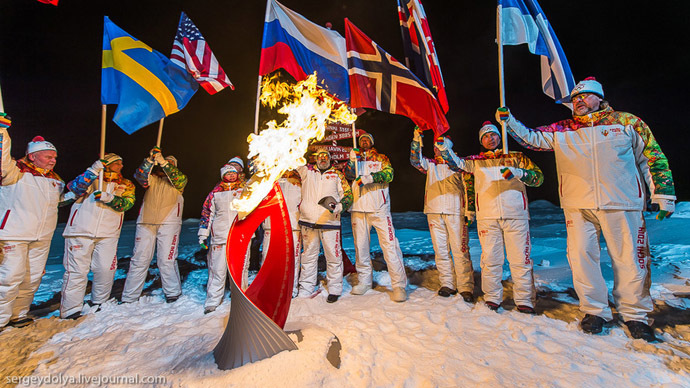 Moreover, many organizations have called for a harsher stance from the IOC to put more pressure on Russia for the controversial legislation.